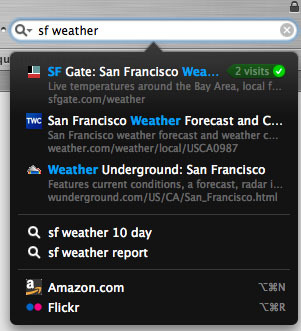 Inquisitor augments Safari by autocompleting search queries and showing results. Yahoo has acquired Inquisitor in a move to improve how search results appear on Apple computers. The Safari browser plug-in offers autocompletion of search queries and shows a pane with search results as users type queries. The plug-in, now in version 3, is a free download. Terms of the deal weren’t disclosed, but Inquisitor founder and developer David Watanabe will continue to work with Yahoo on the software. “I look forward to assisting Yahoo in refining and extending the Inquisitor user experience beyond where it is today.,” Watanabe said on his blog. “David and our team of Macphiles will continue to innovate on both form and function for Inquisitor,” Ariel Seidman, director of search product management for Yahoo, wrote in Yahoo’s blog posting.